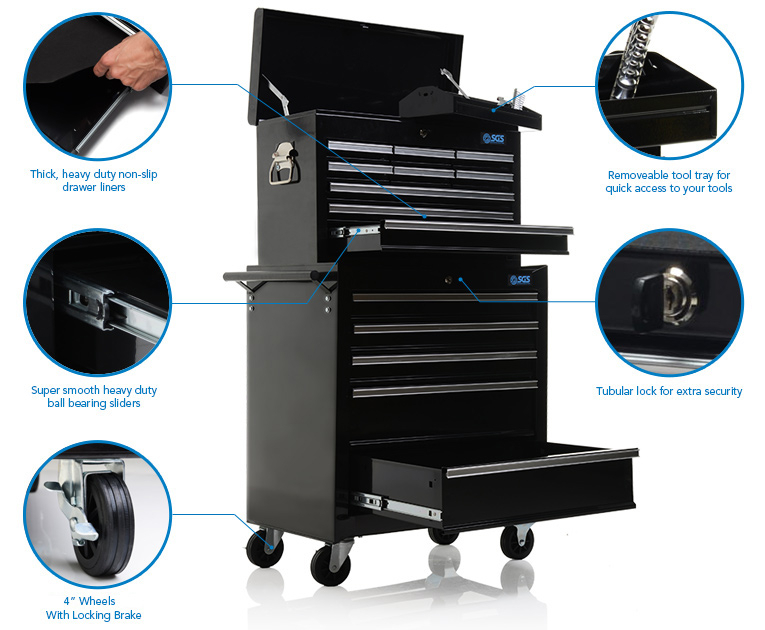 This exclusive garage equipment bundle is designed for the serious vehicle enthusiast and many professional applications. 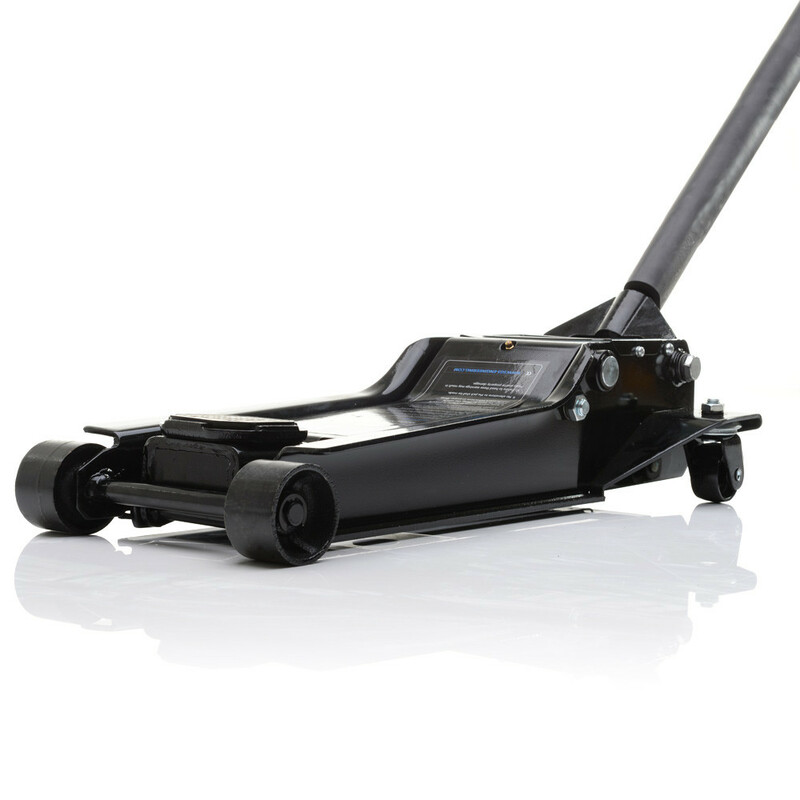 Included is a 3 ton low profile trolley jack, 6 ton axle stands, 1 ton engine crane with load leveller, engine stand, 26” tool chest and roller cabinet, mechanics tool cart/ trolley, vehicle creeper, mechanics seat and four wheel chocks. 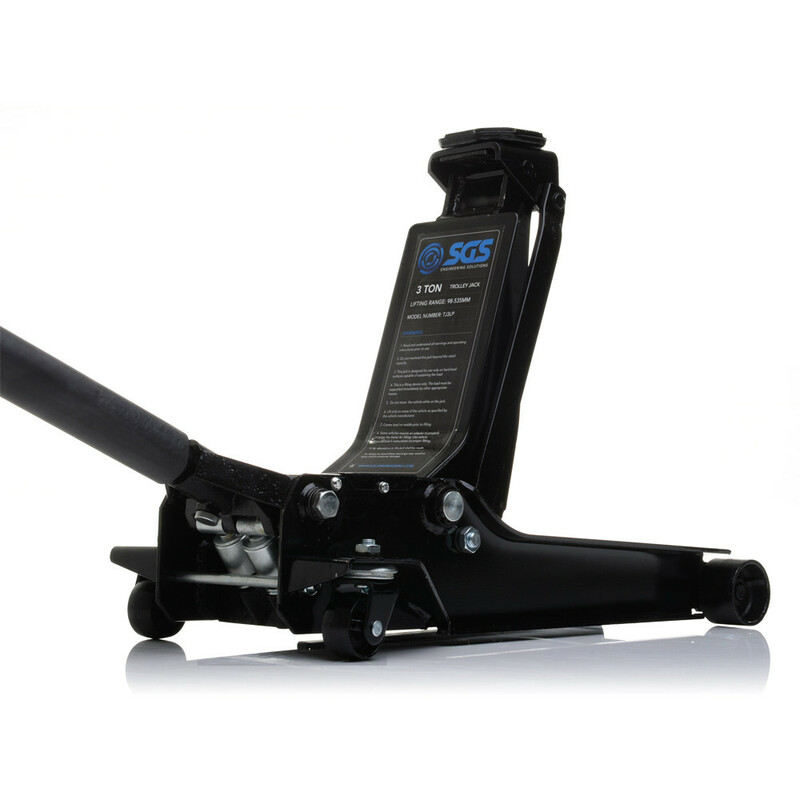 When you don’t want to compromise between heavy duty and low profile, the SGS 3 ton low profile trolley jack is the perfect solution. 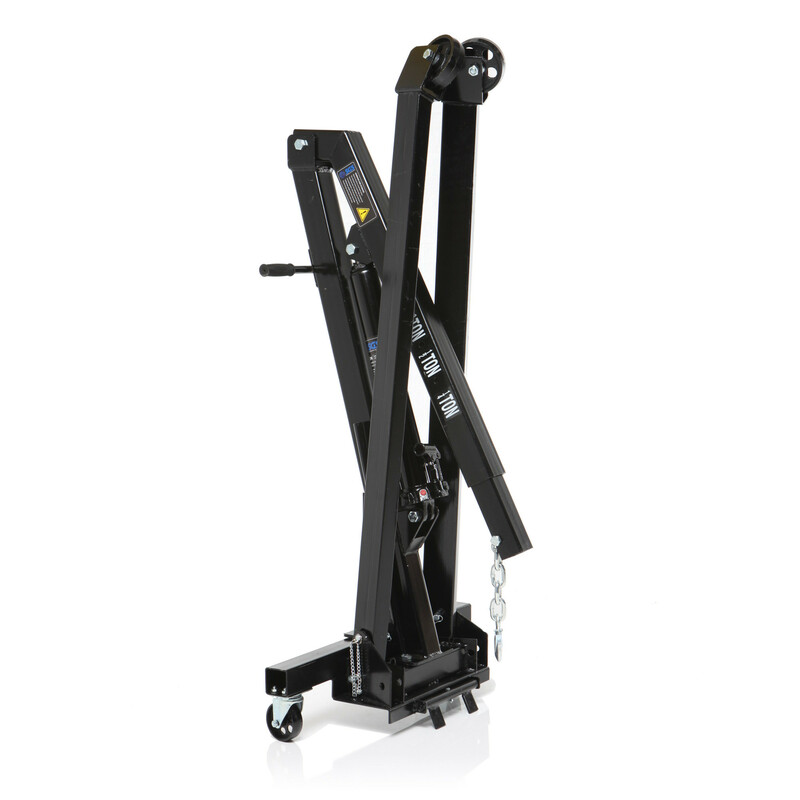 Robust enough for working on most vehicles in a demanding garage or workshop environment, this jack has a long reach and an impressive lifting range of 98-535mm. 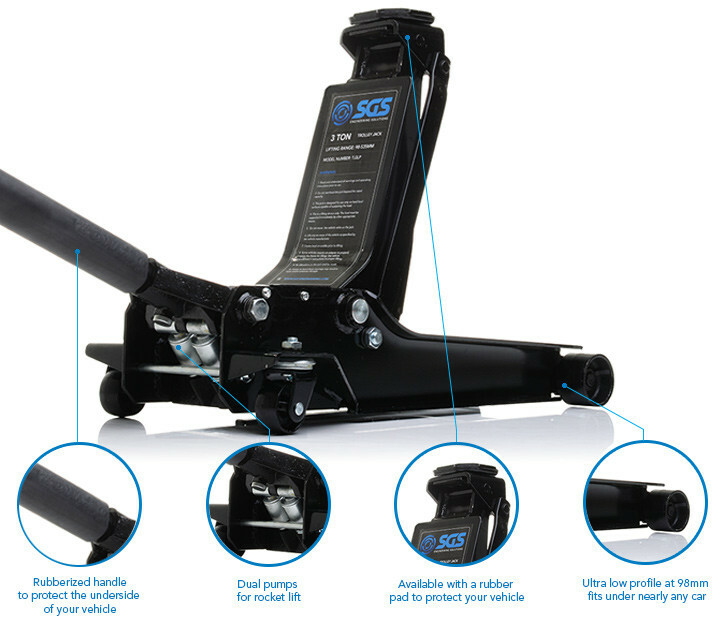 Full of features, this jack includes a rubber jacking pad on the saddle cover, quick-lift dual pistons and a bump-pad on the jacking handle. 105mm saddle diameter. 700mm base length. 500mm reach. 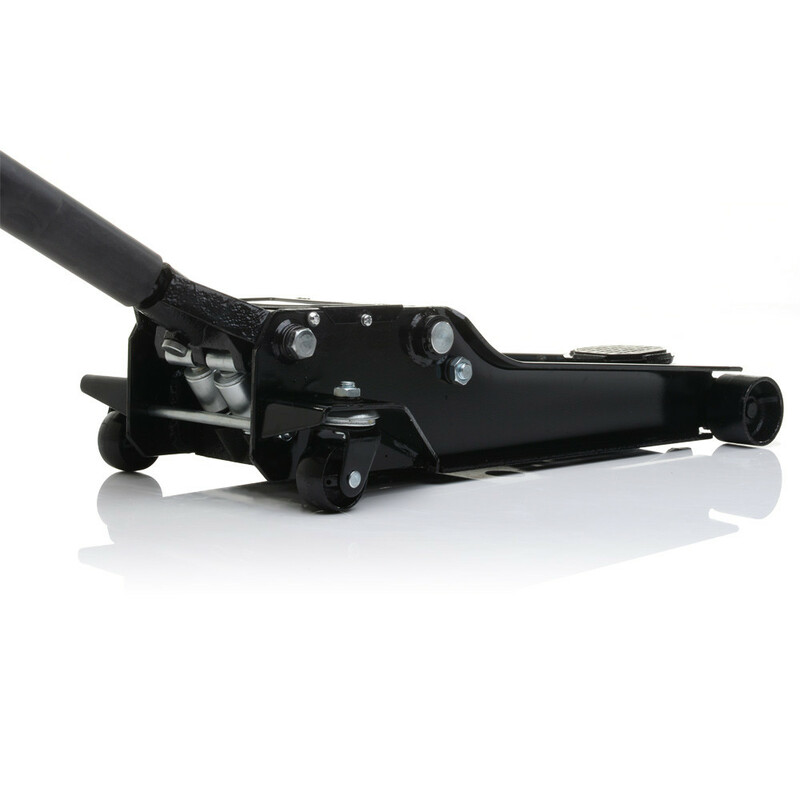 1280mm heavy duty handle. 44.5kg. 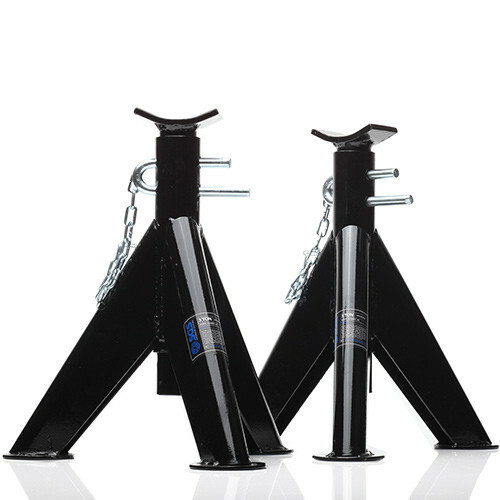 With a capacity of 3,000kg per stand, the 6 ton heavy duty axle stands included with this bundle with enable you to hold and work under a vehicle with confidence. 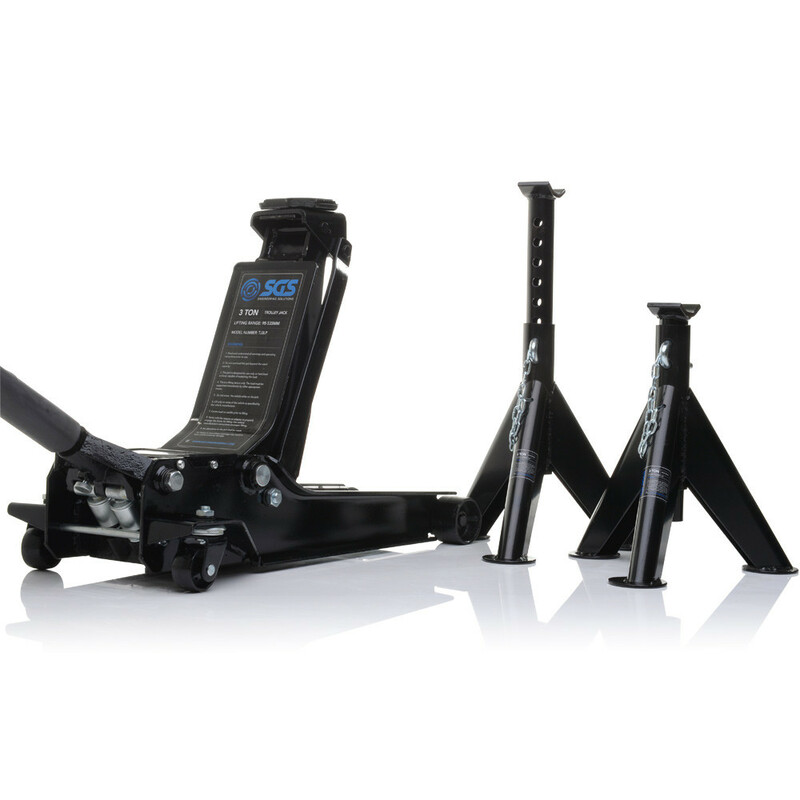 With a lifetime warranty, these stands have a high enough ground clearance so that you can even work under vans and 4x4s (370-560mm). 4.5kg. 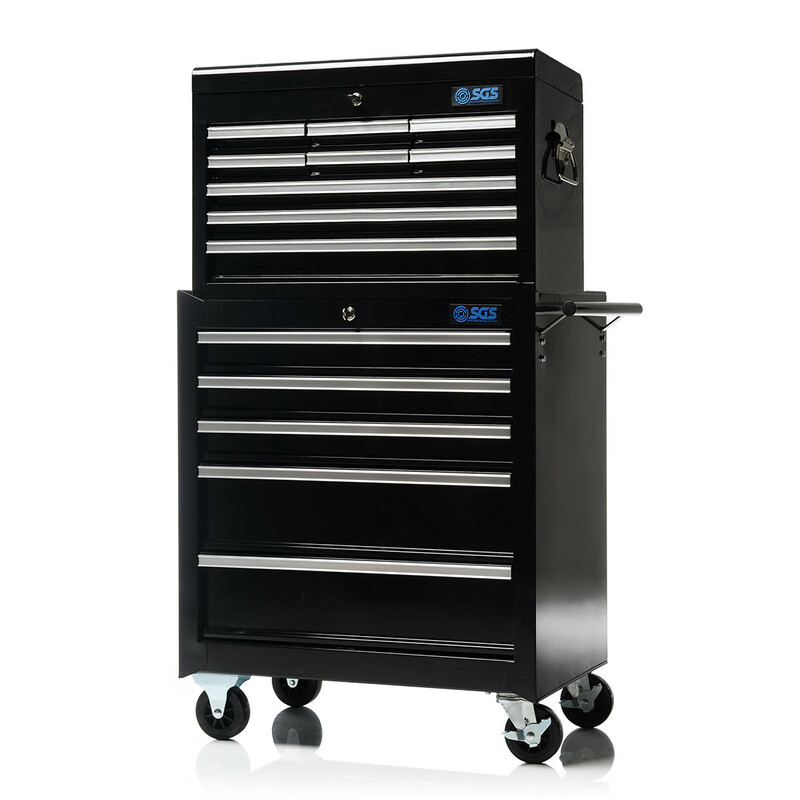 The 9 drawer professional top chest / tool box is ideal for a professional workshop or a serious home garage. 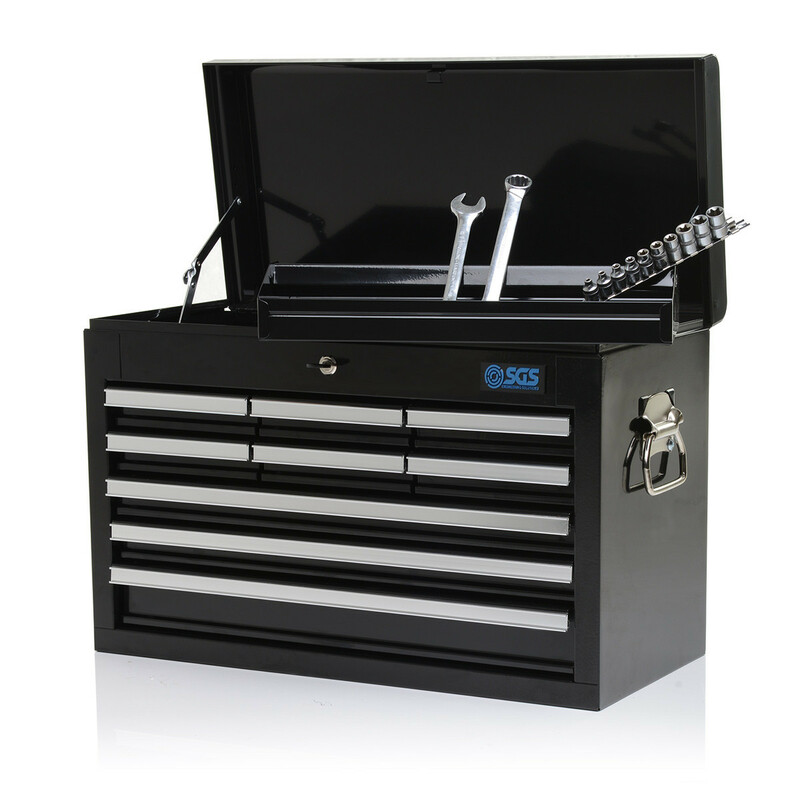 A single tumbler lock keeps all the drawers secured and your tools safe. The drawers will glide open with ease due to the advanced sliders. 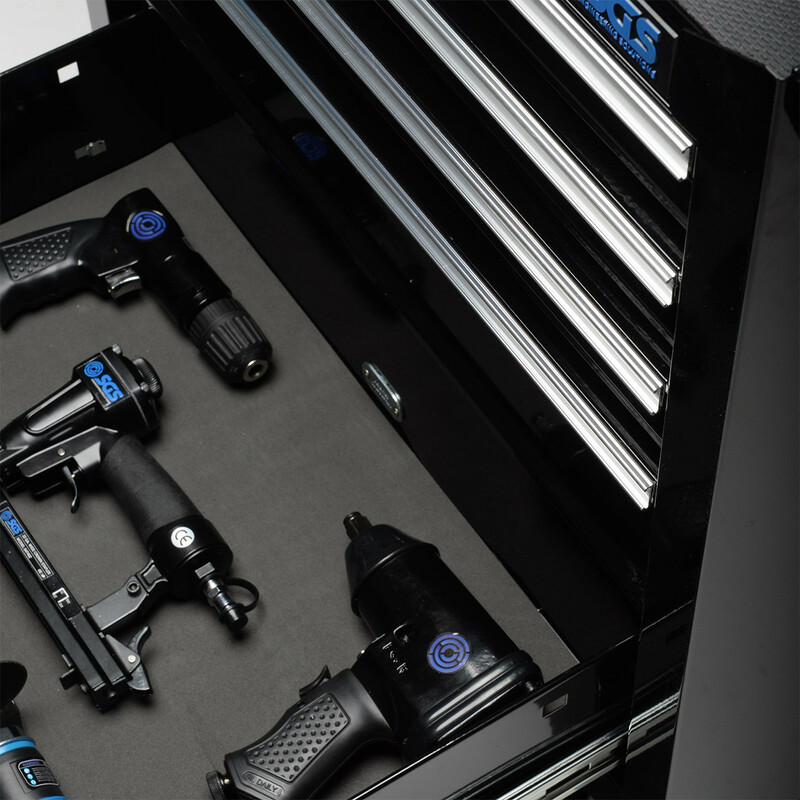 Each spacious drawer has thick, heavy duty lining to prevent tools moving around. 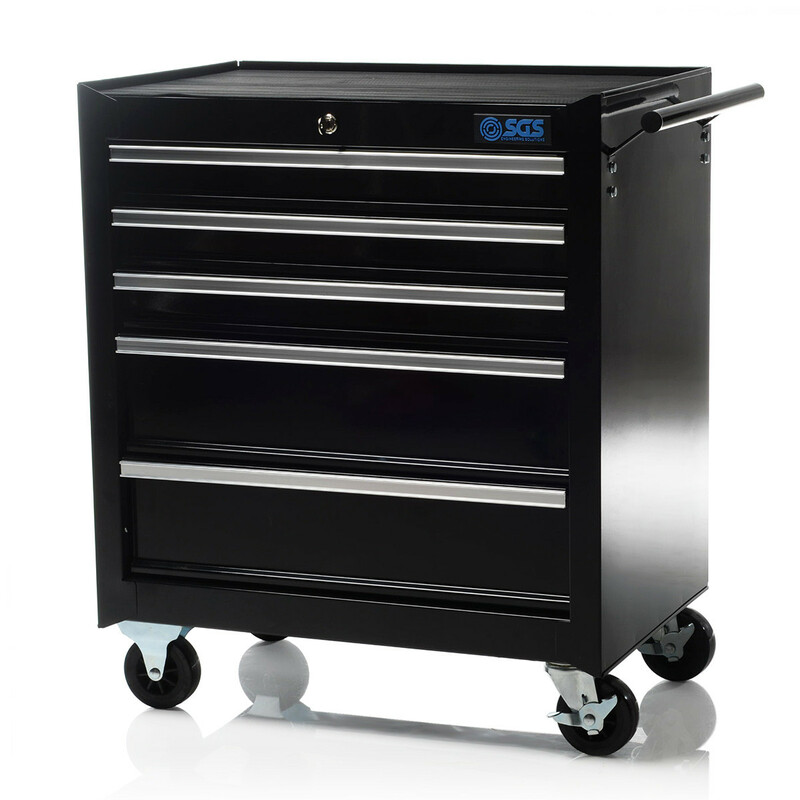 The 26” professional 5 drawer roller cabinet is fitted with heavy duty 4” polypropylene wheels and locking brakes, meaning you can move it, and the included tool box, effortlessly around your workshop, then secure it in place. All of the large capacity drawers lock via a single tumbler lock. 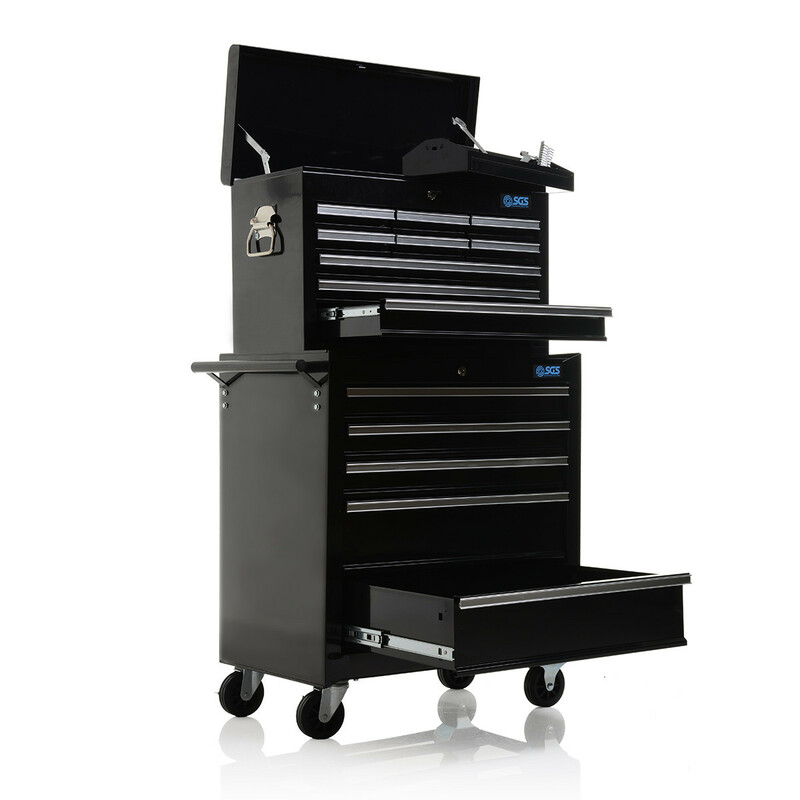 The mechanics tool cart trolley and workstation features two ultra smooth drawers with rubber liners and a lockable sliding top tray. 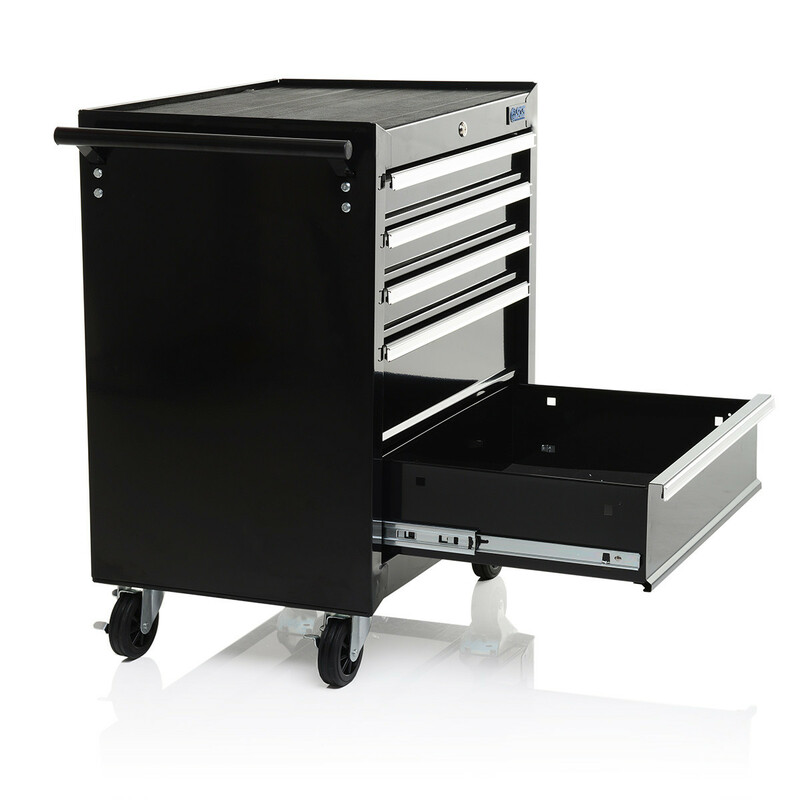 Set on heavy duty casters and fitted with a 50kg capacity bottom tray, this workstation is ideal for storing a host of tools and equipment. 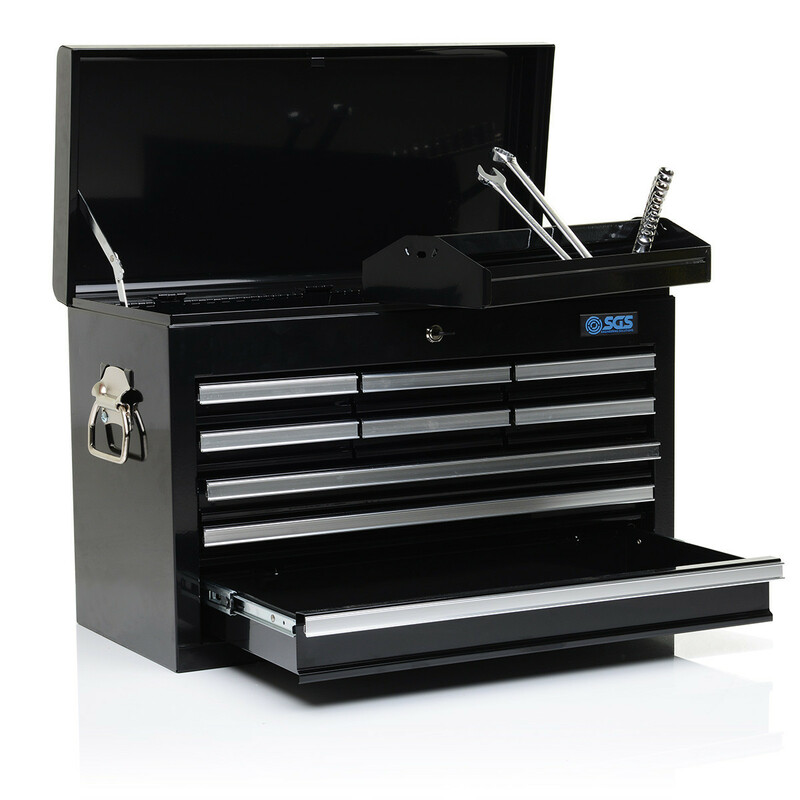 The tool chest, roller cabinet and tool cart are all made with a heavy duty steel frame, double wall steel panelling and super smooth ball bearing slider drawers. 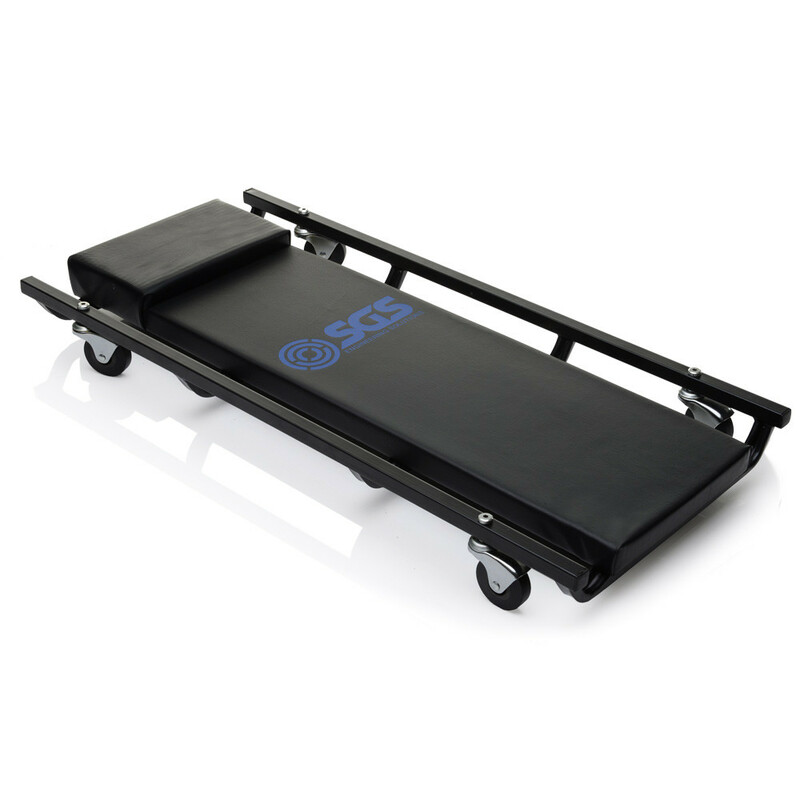 They’re all powder coated and come with reinforced bases, ensuring you’ll get a long service life from these storage solutions. 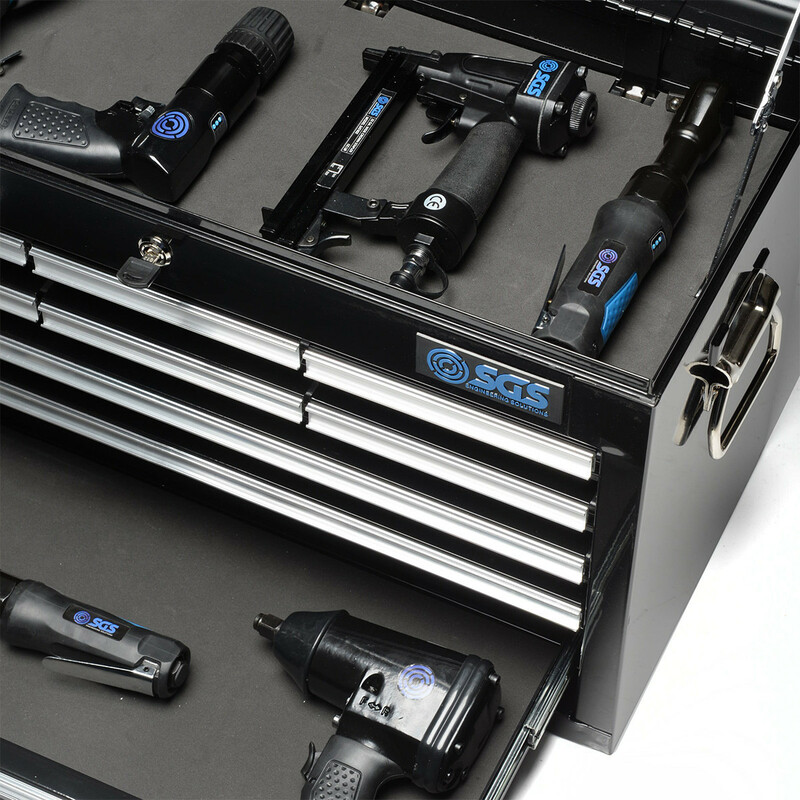 Tools are not included with this bundle. 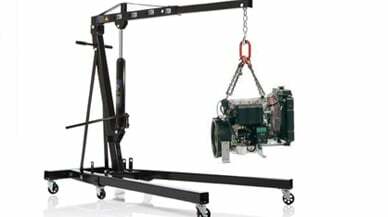 The 1 ton professional hydraulic engine crane is packed full of high quality features such as a patented dual-piston pumping mechanism and folding outrigger legs, making this product one of the most impressive vehicle hoists on the market. 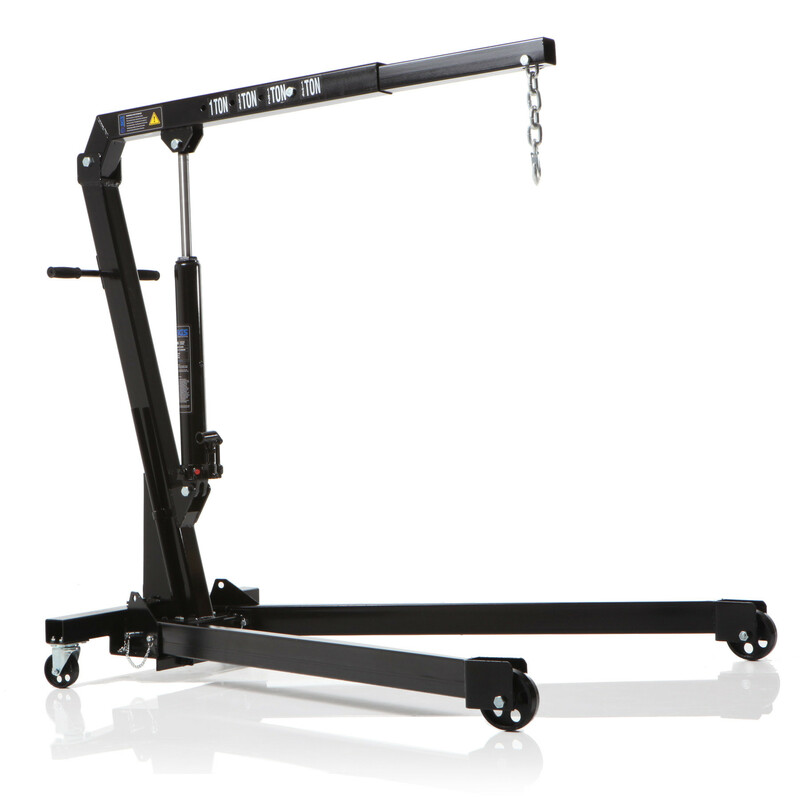 Unlike lower quality imitations, this crane has a full sized frame, leg anchors and manoeuvring handles, so you’ll only be equipping your workshop with the best. 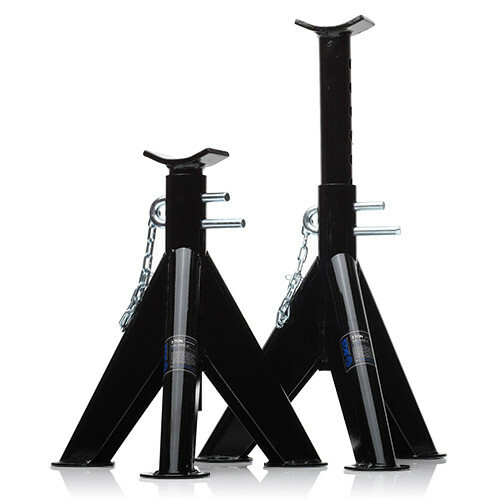 The crane features an integrated high quality hydraulic ram delivering a maximum of 6 tons pushing force. 4 job positions. 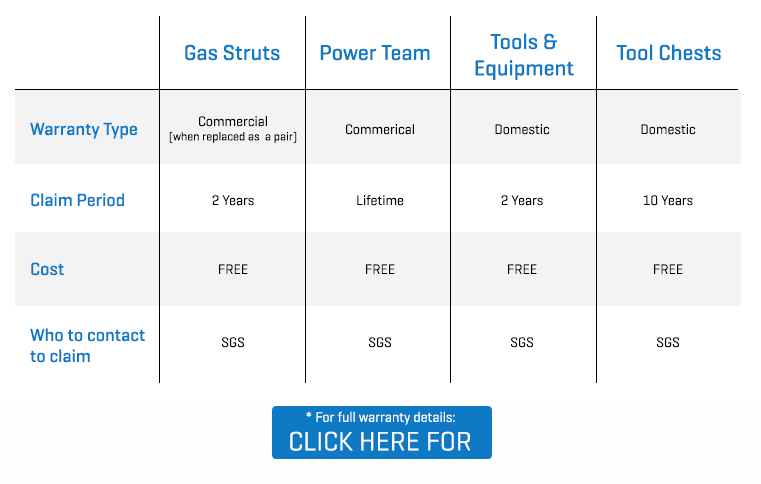 Full parts and servicing available from SGS. 780mm x 590mm x 1550mm folded. 75kg. 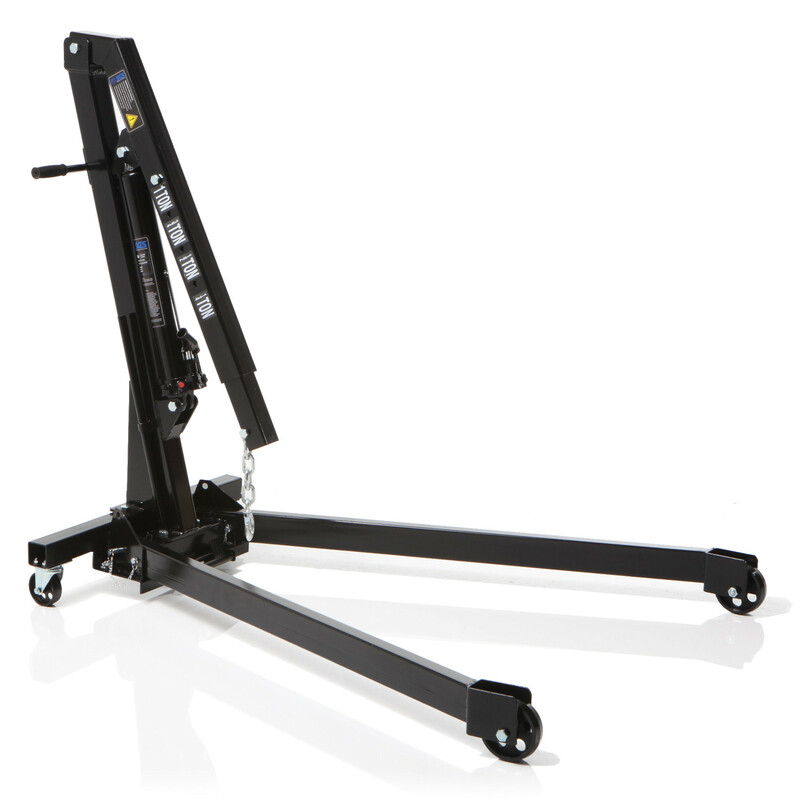 This bundle offering includes the Engine/Gearbox Stand - 450kg so when you have removed a vehicles component parts, you’ll have a sturdy base to work on it from. 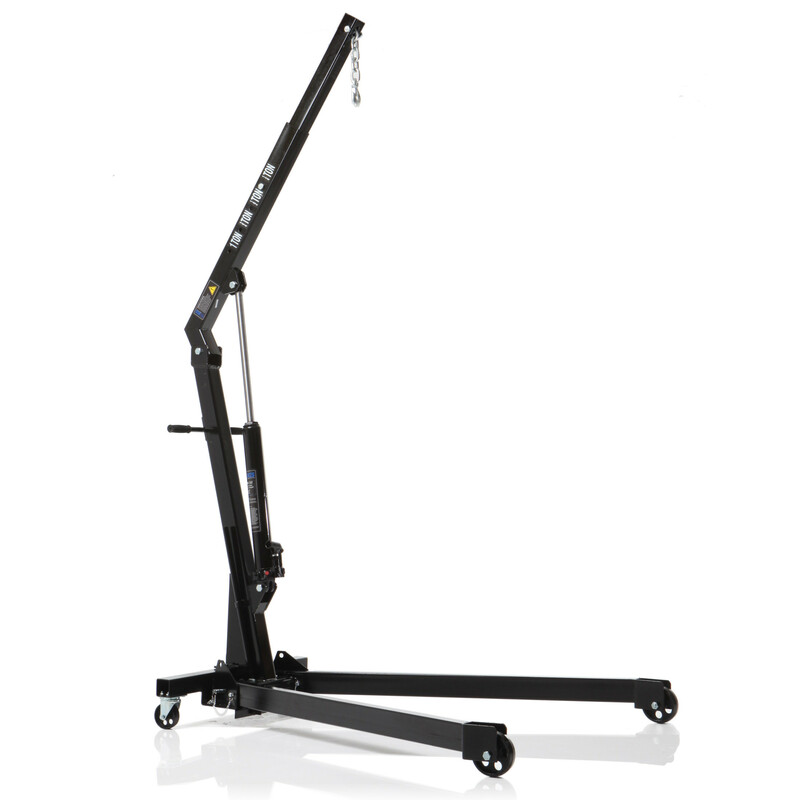 With 360' swivelling head and fully-adjustable mounting arms, this stand is incredibly versatile. 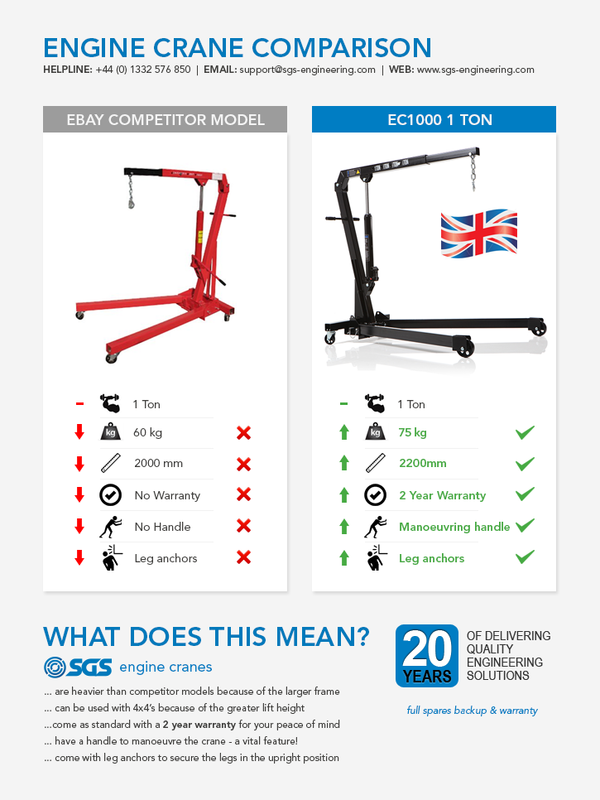 The chassis is a perfect fit with our engine cranes, allowing the stand to be moved inside the V of the engine crane legs to transfer the engine from the crane onto the stand. The internal diameter of the yoke is 60mm. 21kg. 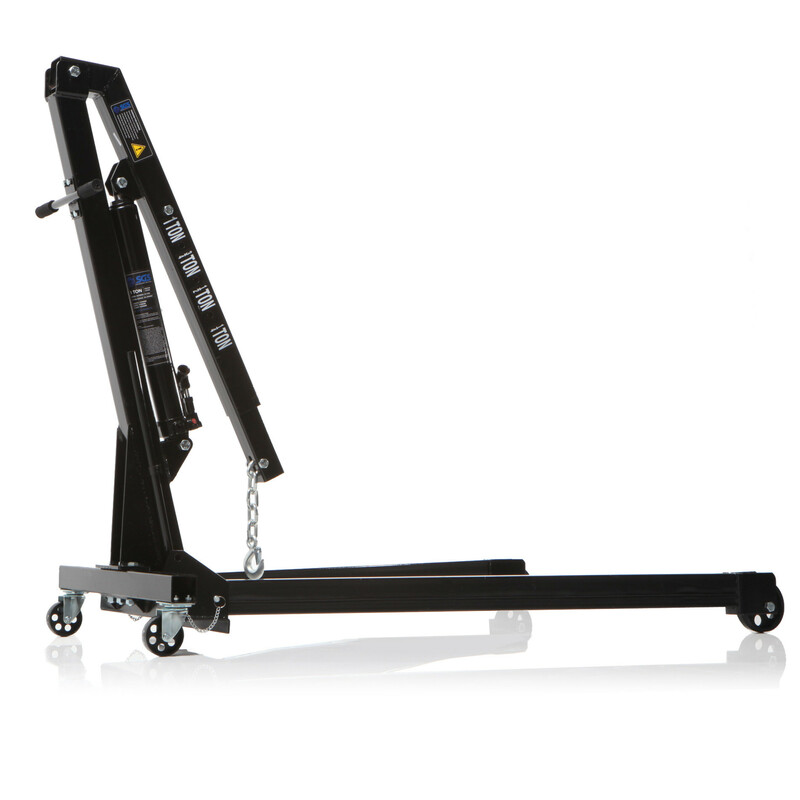 The included 680kg load leveller will enable you to get the very most out of your engine crane. 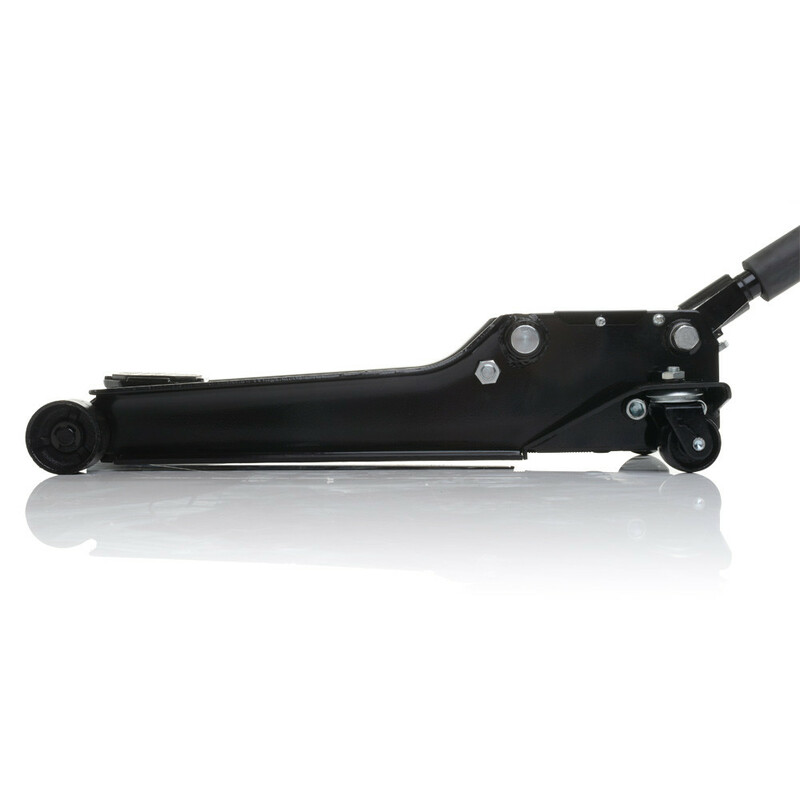 Remove and replace engines at difficult angles, with this fully adjustable leveller. 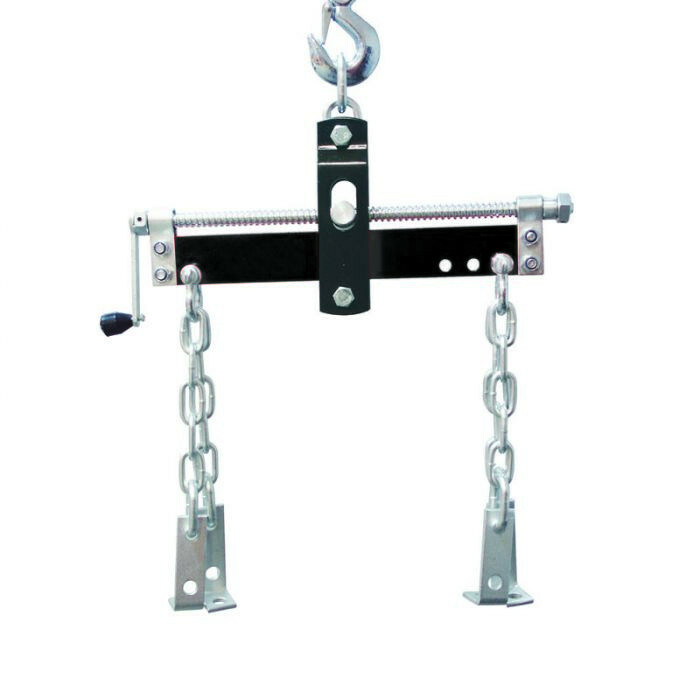 Comes with two chains and mounting brackets. 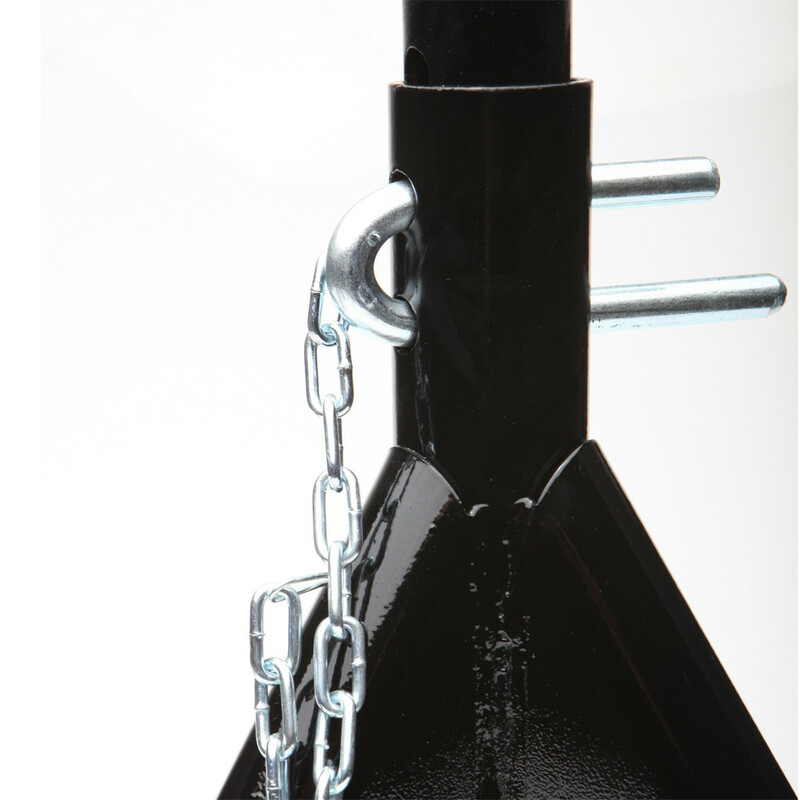 Chain pin (set in shackle) centre to base of L bracket: 360mm. The distance between the chainsets is adjustable: Setting 1: 255mm Setting 2: 285mm Setting 3: 315mm. 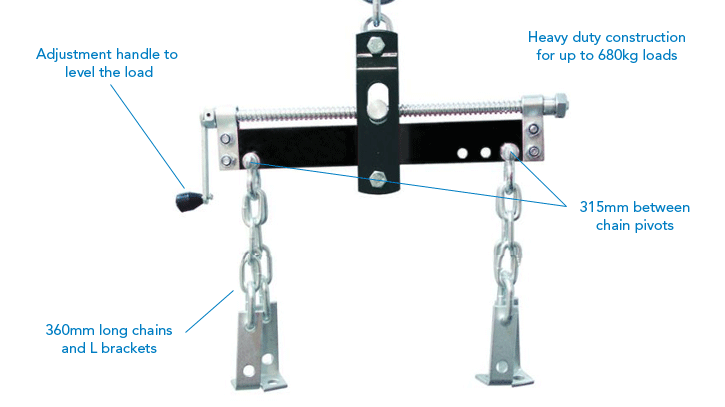 The overall width from winding mechanism bolt to securing bolt is 440mm. The leveller colour may vary from the black shown in the picture. 5.5kg. 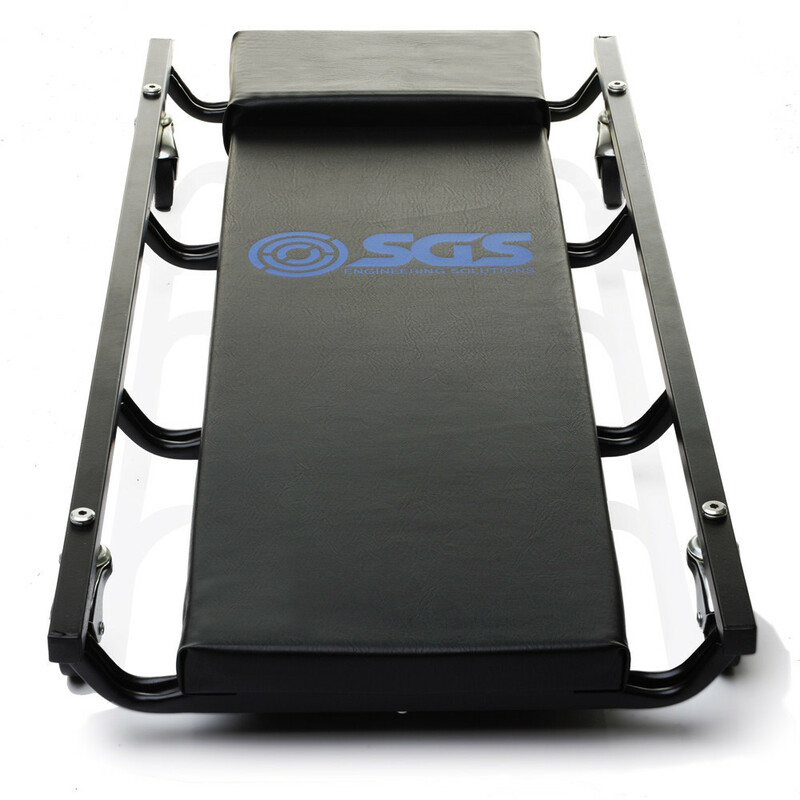 Working under a vehicle can be uncomfortable and cumbersome, but with an SGS professional vehicle creeper you can work on the underside of a vehicle without the need of expensive vehicle ramps. Speed up your workshop work with a mechanics creeper. 920mm long x 425mm wide x 95mm high. 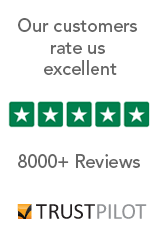 6kg. 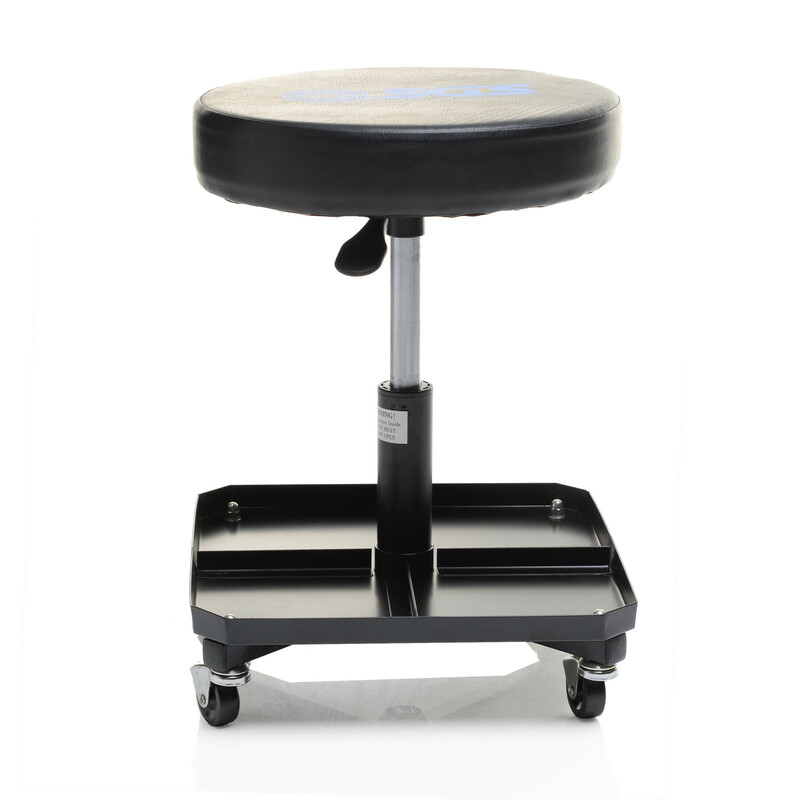 The included mechanics adjustable height workshop seat makes working on a vehicle easier and more enjoyable. 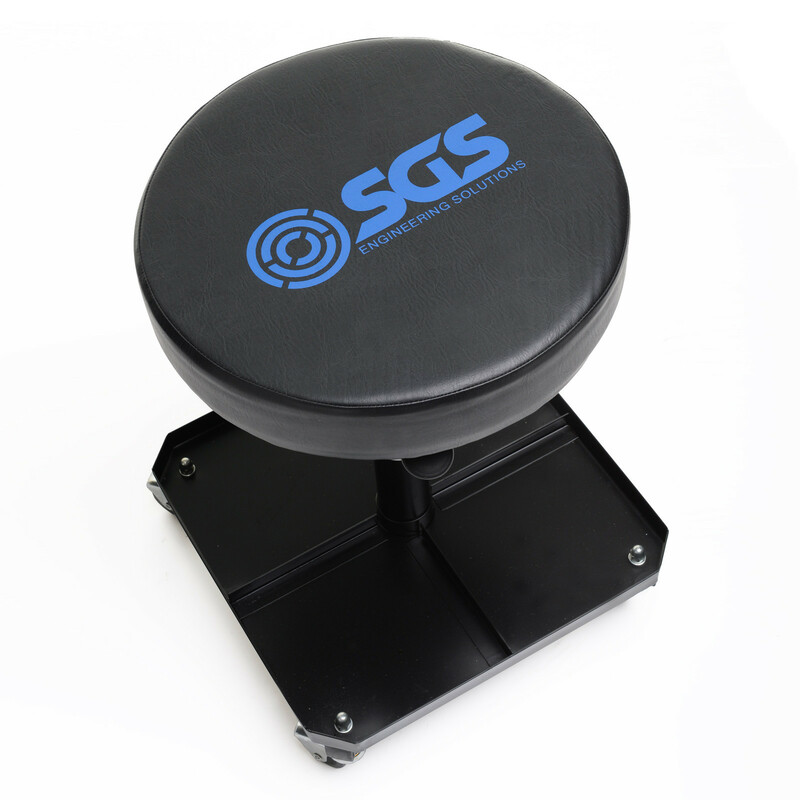 Whether you’ll be in a home garage or professional workshop, this comfortable seat will help reduce fatigue and strain. 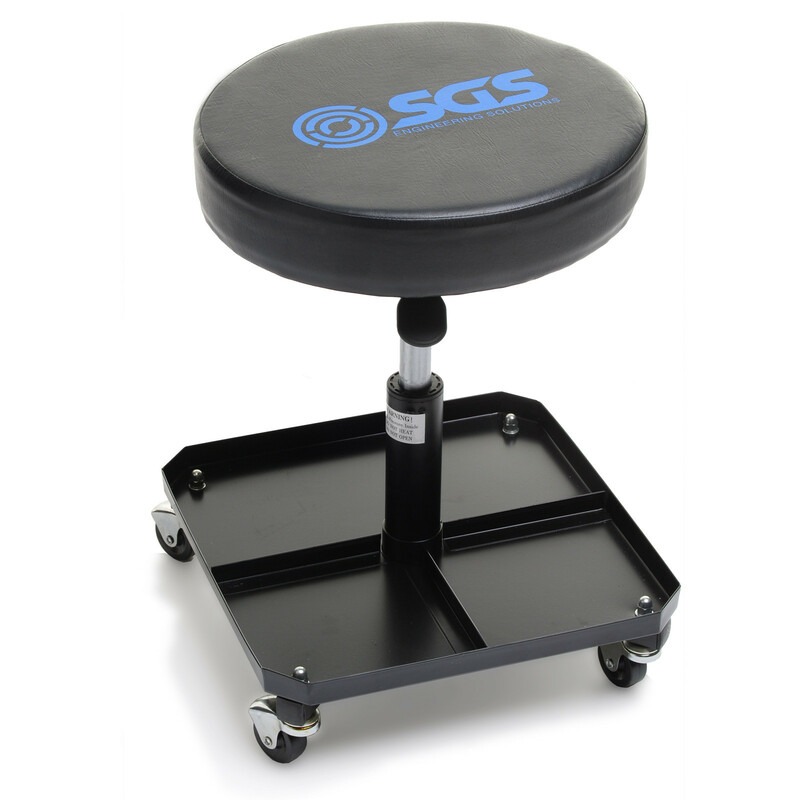 This model has 4 swivel casters for manoeuvrability and an integral storage tray for quick access to your tools. 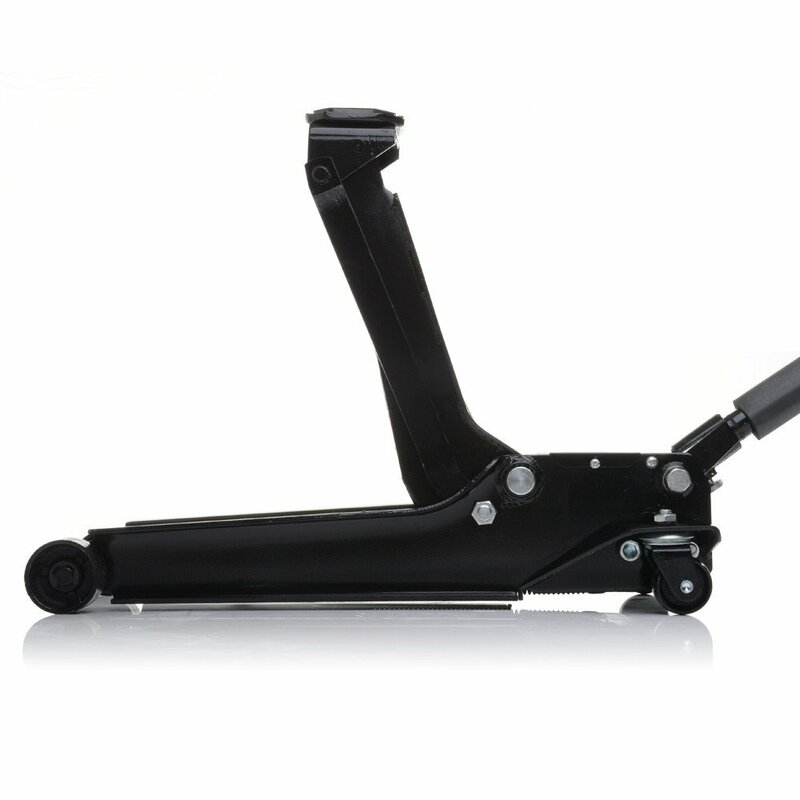 Height adjustable from 400mm to 520mm. 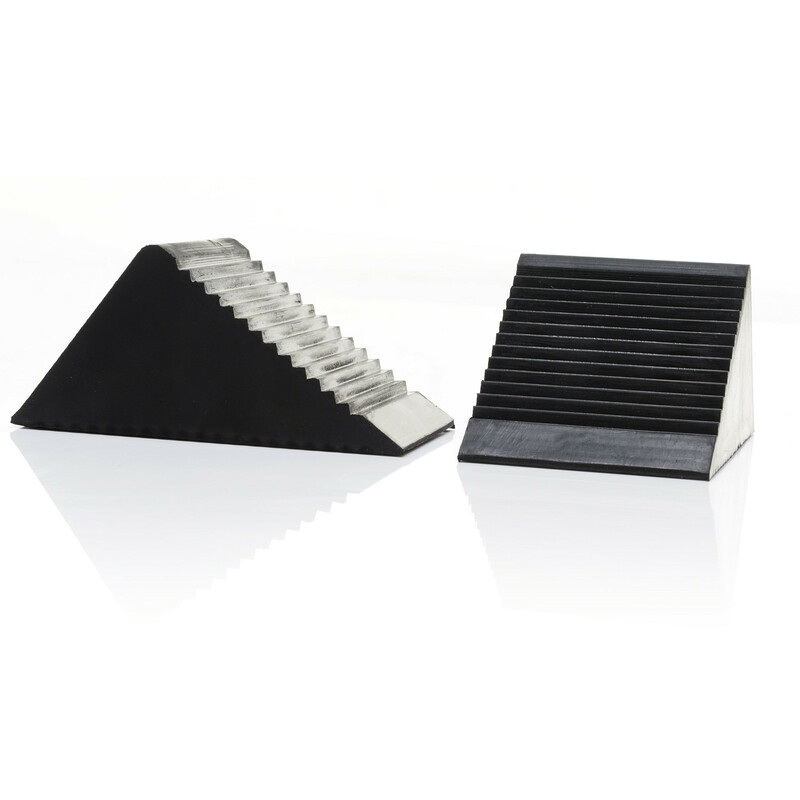 Dimensions 380mm (L) x 380mm (W) x 440mm (H). 4.2kg. 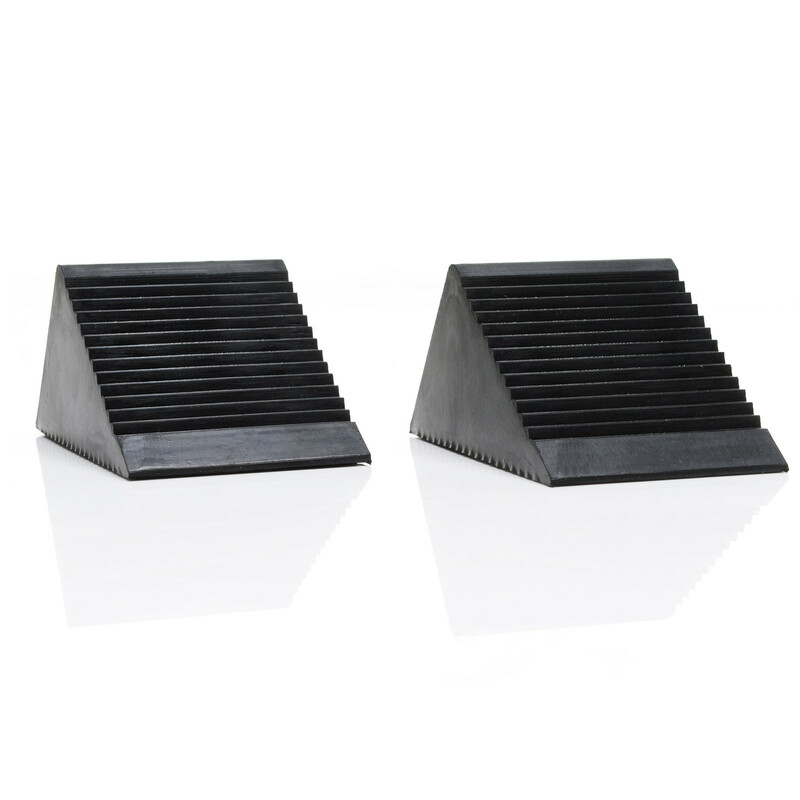 Included in this kit is four rubber wheel chocks, suitable for professional or home use. 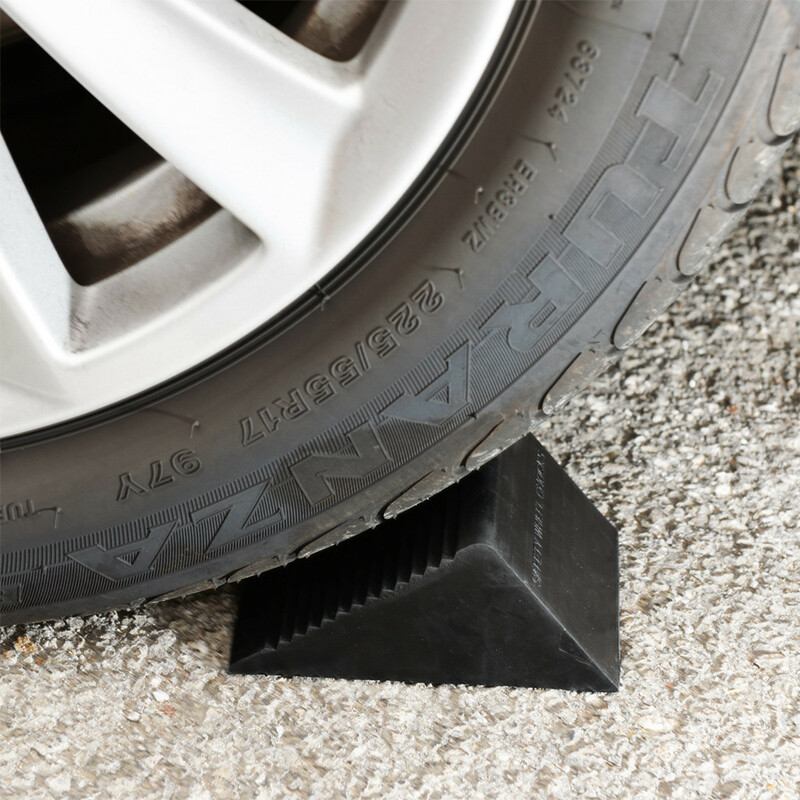 Perfect for when a vehicle is parked on a gradient or general maintenance tasks. 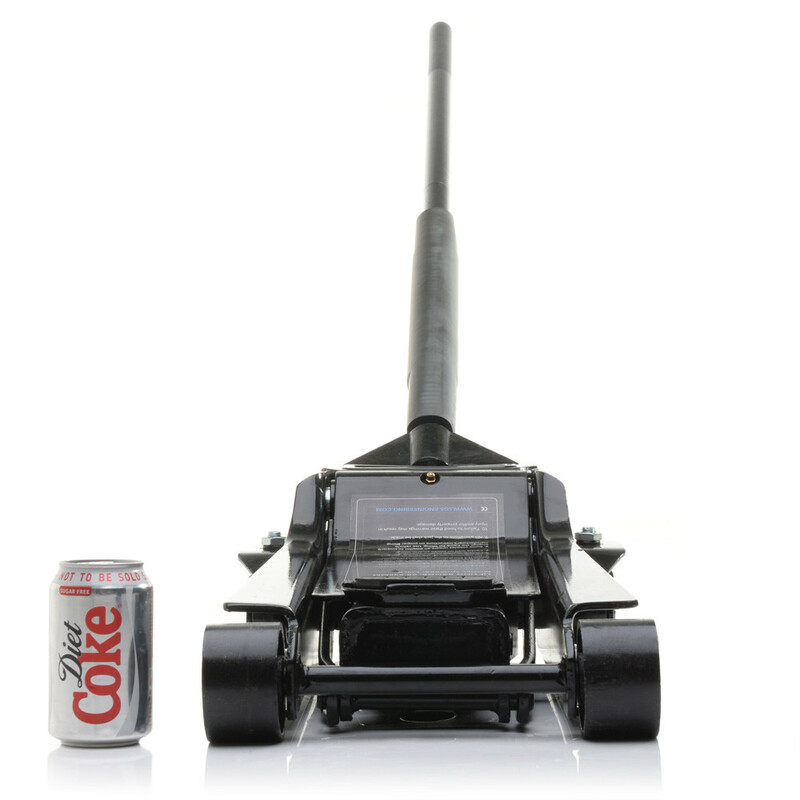 88mm wide x 130mm long x 62mm tall. 1.32kg.